OnePlus will Launch OnePlus 6 x Marvel Avengers Limited Edition in India and China on May 17. 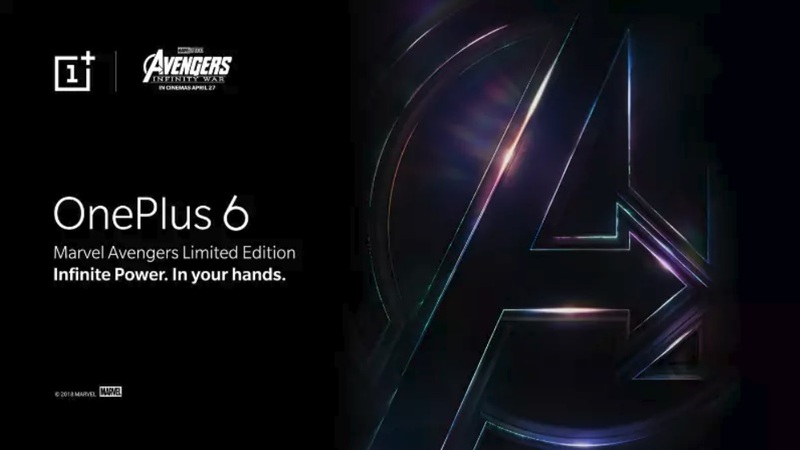 In the UK the company will launch the OnePlus 6 x Marvel Avengers Limited Edition a day before India and China launch on May 16. OnePlus has also confirmed some other details teasing a short video showing the device with a textured back color variant with a 19:9 display. The features and specifications of the OnePlus 6 have already gone viral on the internet. This is not the first time OnePlus is going to the limited edition of its devices. Back in January 2018, OnePlus had launched OnePlus 5T Lava Red Edition priced at Rs. 37,999. As part of the OnePlus 6 x Marvel Avengers Limited Edition launch OnePlus have also announced that it would be giving out free movie tickets for Avengers: Infinity War on April 27, 28, and 29 in select theaters across 10 cities in India. Just to remind you, the OnePlus 6 x Marvel Avengers Limited Edition will come with Qualcomm Snapdragon 845 SoC, coupled with 8GB of RAM and up to 256GB of inbuilt storage. The smartphone will sport a notch, a bottom chin, and a 3.5mm headphone jack. Apart from that, the OnePlus 6 might come with wireless charging support too.